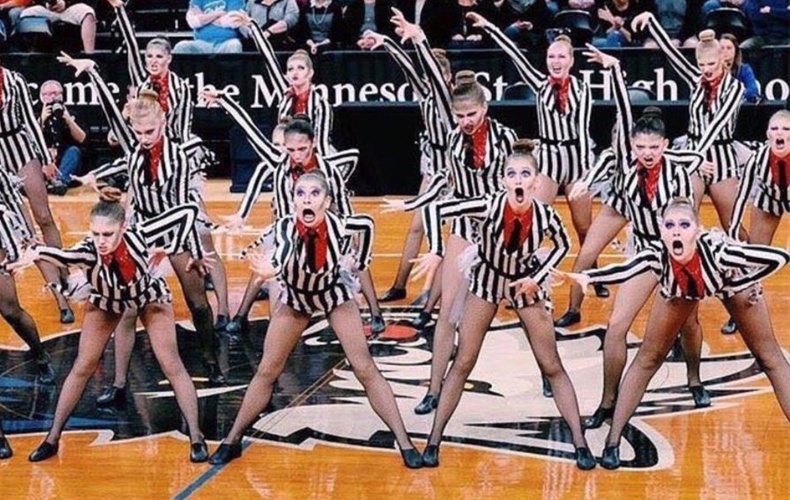 From a stand out, eye-catching theme dance costume to a gorgeous, memorable jazz dress, Orono high school dance team made a statement this year on the dance floor. The girls took it all the way to the Minnesota State Dance Team Tournament for both Kick and Jazz this past season! 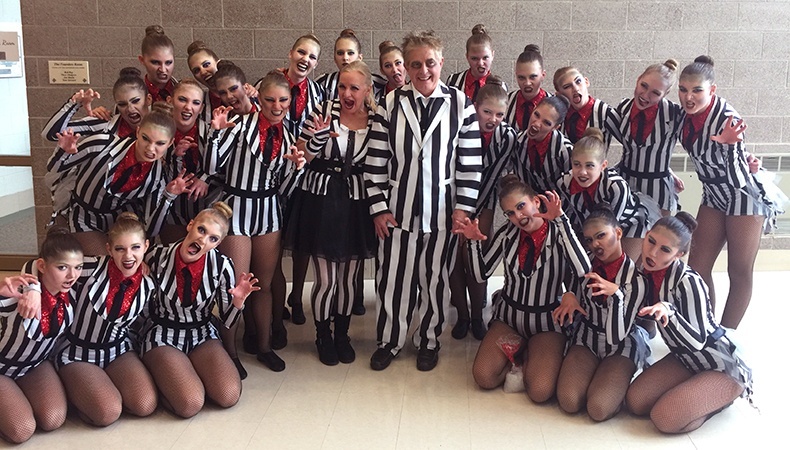 Orono went full out for their high kick performance with a cult classic theme: Beetlejuice! "I've wanted to do Beetlejuice for quite a few years and The Line Up came up with the perfect uniform for our vision," explained Coach Sharon Forde. "This routine was just cheesy fun and we had a blast creating it and performing it all season!" The team put their own spin on the iconic black and white stripe by adding a pop of red sparkle and a tulle bustle to their custom dance costumes. Now that the season is all wrapped up, we were able to catch up with Sharon and hear more - check out more Q&A and video below! Other than the amazing feedback of everyone loving our routine, our highlights this year were winning Conference Kick, Runner Up Jazz Conference, Overall Conference Champion, Section Kick Champion and Section 3rd Place. What was your team's biggest challenge? Our goal was to try and make it [to State] in both Jazz and Kick, and to achieve that was a dream come true. We graduated a lot of seniors this year so we are looking forward to letting some younger girls rise to their potential as we continue our 3rd year coaching this amazing team. Parents showed their support with Beeltejuice costumes of their own!